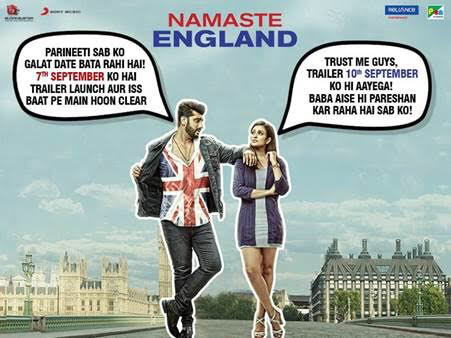 Arjun Kapoor and Parineeti Chopra started their Bollywood careers together and share a great camaraderie, which is more than evident from the promos for their upcoming movie Namaste England, out in cinemas on 19th October. Whether it’s Arjun Kapoor taking digs at Parineeti Chopra, or the latter calling him “her fan”, their bond is worth rooting for. 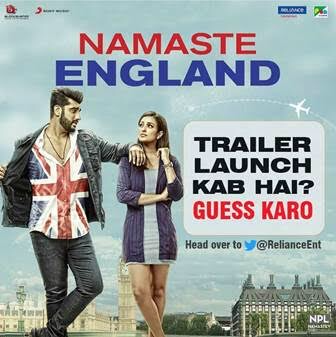 Arjun Kapoor and Parineeti Chopra want fans to guess the release date of the films trailer. The duo took to Instagram to share a fun video where they are seen disagreeing with each other on when the trailer of their movie is coming out. Arjun Kapoor is seen saying that the trailer is coming out on the 7th of September whereas Parineeti Chopra is sure that the trailer is out on the 10th of September. But when will Namaste England’s trailer release? Arjun Kapoor and Parineeti Chopra leave us truly confused!